Cora is totally into learning how to read, so I am seriously running with it. She wants to practice the sight words that were included in her kindergarten packet. She wants to be able to decode the words in her High 5 Magazine and her Weekly Reader. She wants to read to her dolls, read to Brady, and read to me. At least most days she does. Some days, she doesn’t want to have anything to do with reading, and she only wants to dance or sing or paint or play dress-up. But that’s okay with me because she’s getting closer, and I know it. So I’ve been exploring some new and exciting ways for her to practice the ‘all-too-important’ kindergarten sight words, and I think we’ve come up with a way that seems to work for her. 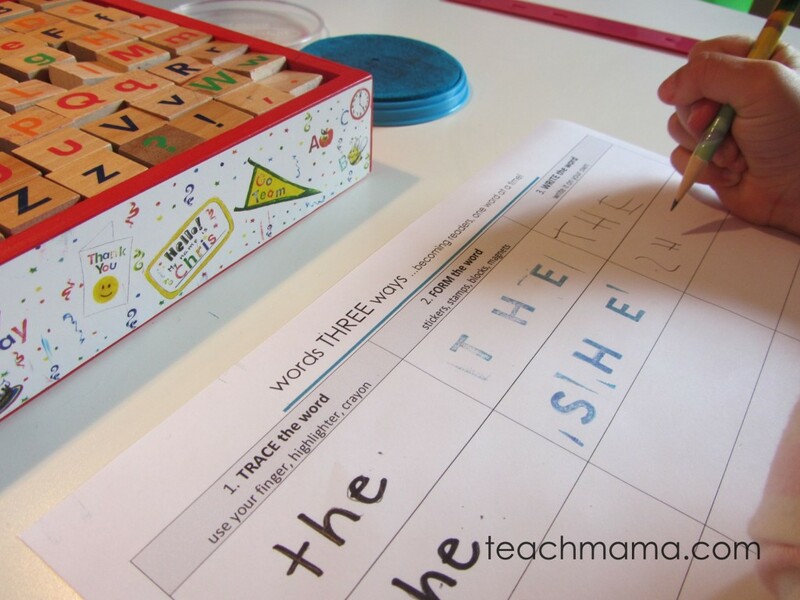 The concept of words three ways is simple– children ‘play’ with words in three basic ways. It’s similar to Maddy’s Trace, Copy, Recall for beginning work with spelling words, but catered a bit more toward littler ones. 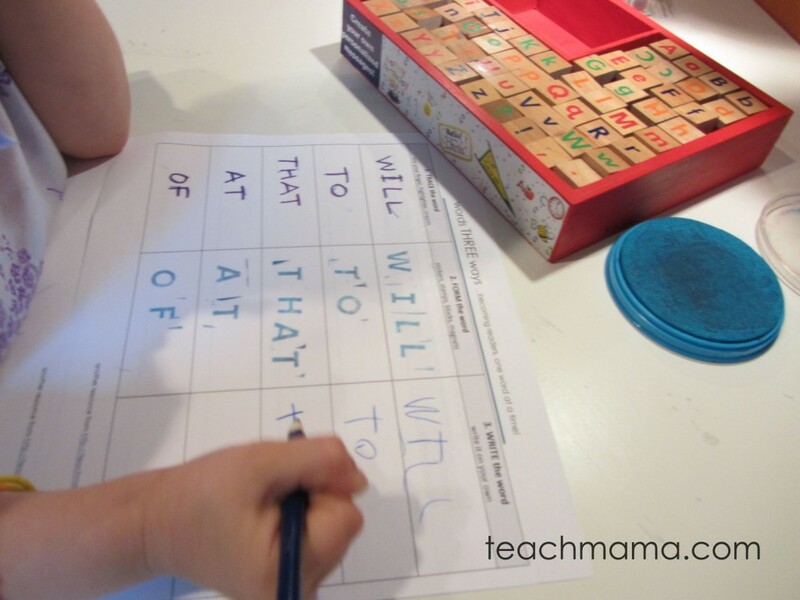 It’s a great way to begin work with sight words. 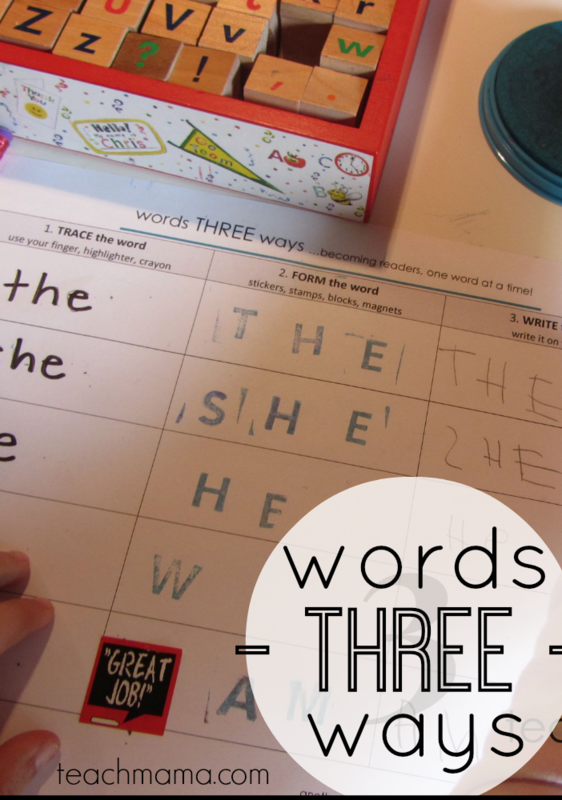 The printable words three ways can be downloaded below as a pdf if you’d like to let your little one try it at home. Sometimes I write the words in uppercase letters and sometimes I write them in lowercase; I want her to be familiar with both. Cora has been using Words 3 Ways for a few weeks now, so she understands how it works, but when I introduced the idea, I said, Okay, Cora, today we’re going to rake a really big step. You just had Kindergarten Orientation, so I know you’re excited for school to start in the fall, but there are a few things we’ll do between now and then that will help you be really, really ready for all the fun you’re going to have in Kindergarten. I know you already know a lot—your letters, numbers, and how to write your name and our family’s names, so we’re moving on to bigger things, now, and I know you’re ready. We’re going to really start playing with sight words. 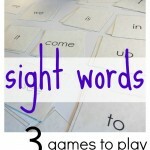 Sight words are words that you’ll see in almost all of the books you’ll learn to read in Kindergarten—they’re usually small words that you can’t really sound out, so you need to know them by ‘sight’. We got a list of sight words from your Kindergarten teachers, and I put them on flash cards. We’ll play different games with them, and by the time you start school, you’ll be able to read them all by yourself! How awesome is that??! So today we’re going to start with Words 3 Ways. It’s a fun way for you to learn five new words. The words are here (pointing to words in left column). Let’s read them together. Okay, now you get a chance to do three things with each of these words: first you’ll use your finger or a highlighter to trace the word. 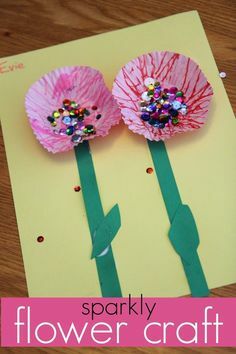 Then you’ll form the word, and you can do that by stamping the letters, using letter stickers, or using magnetic letters. And the last thing you’ll do is write the word. So you’ll trace, then you’ll form the word, then you’ll write it. Let’s start with the first word. I’ll read it, then you read it. ‘The’. Cora read it herself. Great! Now use the highlighter to trace the word. I could tell that you were really concentrating on each letter: ‘t’, then the ‘h’, and then the ‘e’. Cora’s writing her words. . .
Now you get to form the word, or build it. Do you want to stamp it or use letter stickers? 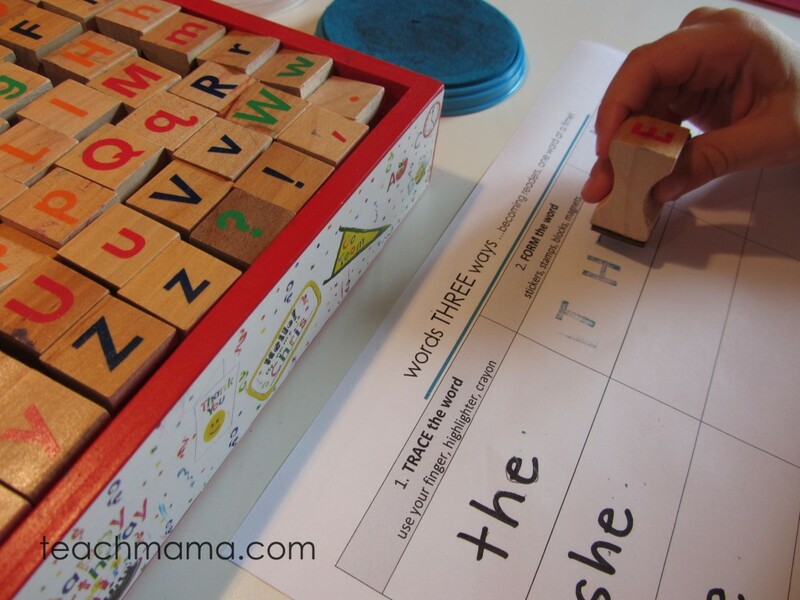 She chose to stamp the word, and as she hunted for and then stamped each letter, I said the letter name. Finally, you get a chance to write the word all by yourself. Do you want to use a pencil or the bee pen or a marker to write it? She used the pencil, just like Owen and Maddy use for their homework, to carefully form each letter. While Maddy and Owen worked on their homework, I talked Cora through the next two words; she finished the last on her own. And the next few days, she asked me for Words 3 Ways with different words. Awesome. 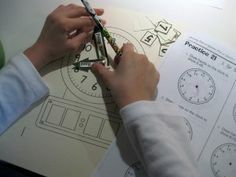 Right now, Words 3 Ways has become Cora’s go-to, her favorite ‘homework time’ activity because she’s all about reading. 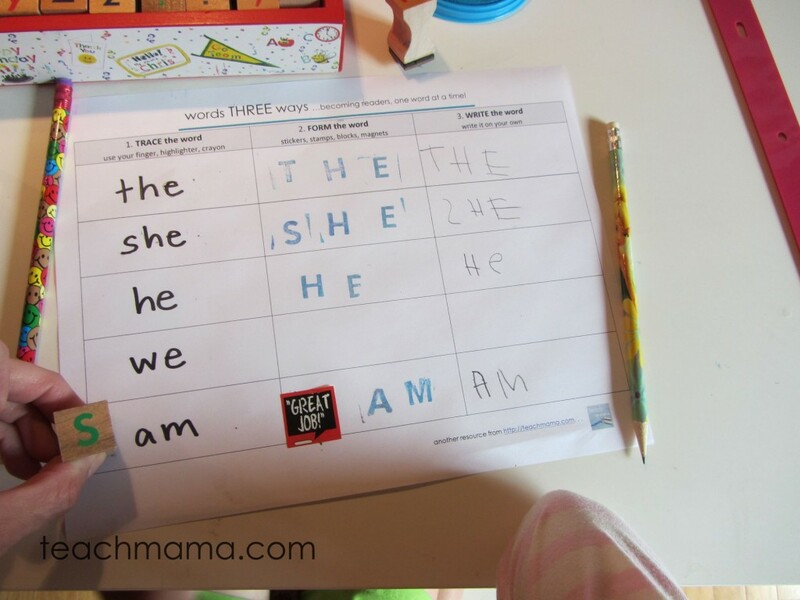 I’m a huge fan, too, because I can really add any words I want into the sheet—family names, color words, number words, sight words, you name it. And I like that she’s tracing handwritten words; we sometimes forget that kiddos need to learn how to read handwriting and print. 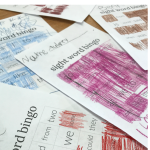 Words 3 Ways gives emerging readers an opportunity to focus on a small number of words, looking closely at them in three different ways–first tracing the word, then building it, and then writing it on their own. It’s not foolproof, it’s not instantaneous, and it requires foll0w-up, but it’s a start! Happy sight word learning, little readers! We’re huge fans of Melissa & Doug’s Alphabet Stamp set because it is a super set for emerging readers to use when building words, playing with names, or creating personalized masterpieces for loved ones. Becky–I’m SO not amazing, but I’ll take it! It’s been that kind of day for me. . . thanks, friend!! My favorite way to practice any words is outside with chalk! But I like the 3 ways for handwritting practice. I love it… My only suggestion would be to use lower case when teaching very early site recognition/ tracing/ writing/ stamping… Kiddos see more lower case when seeing words in books. Hats off to you for getting your child interested in reading and finding fun ways to learn!! thanks so much, Beth!! Great suggestion!! I’ll definitely–gently–move toward that this summer! Totally appreciate your feedback, my friend!! I love all of the choices. I have so many friends who homeschool and wonder how in the world to get their kindergarteners to sit down and do school with them. 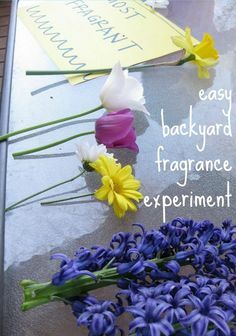 I think all of the variety here would make this activity really engaging. I’m saving it for about a year or so when my oldest might be ready! thank you thank you, Tracey!! YOU are so awesome for reading and taking the time to write–totally appreciate it!! you are so welcome, Jenni!! Please let me know how it goes!! I’m so appreciative that you shared this! 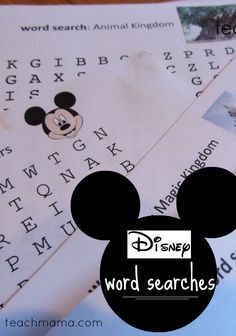 This is perfect for my 4yr old to use his new alphabet stamps. I’m looking forward to exploring your site since I’m in need of ideas to get him ready for kinder this year! Thank you so much- you are so awesome!!! YOU are so very welcome, my friend! Anything else you need, let me know. It’s a really fun time–and so exciting!! Thanks! This is great. Do you happen to have a list of the sight words? Running around–it’s SPRING BREAK here so we’re a full house! I stumbled upon your blog yesterday via Pinterest, and I’m so glad I did! My daughter is entering Kindergarten this fall and I want her to be able to at least have some basic reading skills and I couldn’t find anything ANYWHERE until I found your site! Thank you so much for all of your tips and tricks!! I know it takes time away from your little ones to share this stuff, so I really appreciate your sacrifice to help all of us help our kids! HEATHER! Oh my gosh, you made my year! Thank YOU so much for taking the time to click through to my blog and a million thanks for actually taking the time to comment. I appreciate it. Wishing you only the best next year when your daughter heads off to the wilds of Kindergarten–I’m sure she’ll do great! Please do stay in touch! Amy, I love your stuff. And I’ve pinned so many of your posts and love them. This one has been so helpful to my daughter and me right now. We moved over the summer and she started second grade at a new school and her writing has regressed so much. I was starting to worry (her teacher too), but using the words 3 ways has been so helpful for her to go back and review sight words she already knew (but seemed to have forgotten during the summer and move). I purchased the Melissa & Doug alphabet stamps just for this, which I knew she would love so it makes it fun instead of feeling like it is a chore. Basically, THANK YOU!!! Kiasa! I cannot tell you how much I appreciate you taking the time to share this with me. Means a TON. I’m glad it’s working, and let’s do stay in touch. Best to you! !